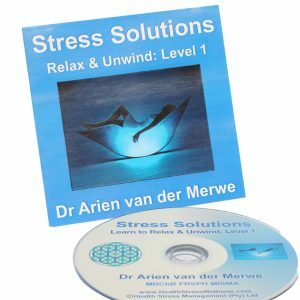 After countless calls after a recent radio talk, Dr Arien realised once again how important it is for all of us to obtain health and wellness related trustworthy information. 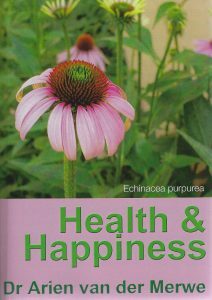 Here is an excerpt from her book Health & Happiness (Geluk & gesondheid) on the natural approach to menopuase. For more information read on the topics, Health & Happiness and the DocsFocus Female Balance and Timeless DNA Heart Heart Brain Body Support & Antioxidant she developed. For many years, hormone replacement therapy was regarded a panacea to prolong youth, cure symptoms of menopause and prevent heart disease and osteoporosis. For decades women were convinced to take HRT (hormone replacement therapy) as soon as the first sign of menopause appeared and to continue using them indefinitely. A billion-dollar scientific study that was conducted by the American Women’s Health Initiative or WHI recently confirmed that using HRT for longer than 5 years increases a woman’s risk for breast cancer, heart disease, stroke and pulmonary embolism. In 2002 the trials were halted three years early as the increased risks outweighed any benefit the continuance of the study might have provided. While the study confirmed that HRT does reduce the risk of osteoporosis and certain cancers, it showed it increases the risk of heart attacks by 29 percent and the risk of strokes and breast cancer by 26 percent. The results were unexpected and caused worldwide panic and anxiety. A year later the Million Woman study in England and other studies around Europe, supported the findings of the WHI study. Women need to approach the transition into menopause in a holistic, integrative way. Managing menopause is about managing your entire lifestyle, including using the correct food supplements, stress management, attention to soul needs and healing herbs to gently assist you through the menopause and peri-menopause. Many trials have been conducted to prove the efficacy and safety of plant hormones. More and more women are reluctant to use HRT. At present, only 11% of postmenopausal women in the UK, are using HRT. The reasons for the reluctance include previous hormonal experience with the old high dose oral contraceptives in their younger days that led to weight gain, migraine, depression and PMS, as well as the side effects often experienced with HRT. What is a woman supposed to do? Natural alternatives to HRT have all of the same benefits as HRT, but very few side effects because they are only 1 in 1000 to 1 in 10 000 as strong as HRT. Become informed and make an informed decision on what you want to do: ask your doctors about the side effects of HRT, the other options, read about it. You may then decide to try the natural options first, or go with HRT for a few years (not longer than 5 years, though) until the worst symptoms subside and then use natural alternatives, or use some natural alternatives (dietary guidelines, lifestyle options, stress management, soy products, antioxidants, calcium / magnesium and essential fatty acid supplements) and HRT. I would recommend that you try the natural options first. And be patient: it might take up to 3 months before symptoms improve! 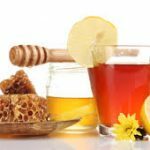 Well-researched herbs that alleviate menopausal symptoms (these will also help for PMS, painful periods and irregular periods) include black cohosh (Cimicifuga racemosa), the isoflavones genistein and daidzein found in soy beans and soy bean supplements, wild yam (Dioscorea species), Angelica sinensis (Dong quai) and chastetree berry (Vitex agnus castus). 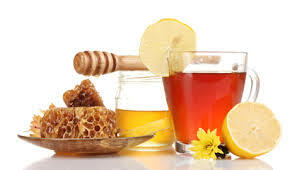 Combinations of these can be taken as food supplements or applied to the skin as a cream. Other lifestyle options include the daily intake of linseed and other seeds, nuts, chick peas and other legumes, essential fatty acids (omega 6 and 3), calcium with magnesium and boron supplements, vitamin E and selenium with other antioxidants and sage tea to reduce hot flushes. 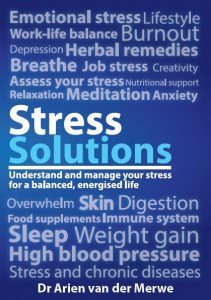 Regular exercise, a healthy eating plan and stress management techniques are also part of the treatment regime. Antioxidant combination with vitamins A, E, C, B-complex, mixed carotenes, minerals zinc, selenium and copper. Also include iron if your periods are heavy. Some women go through a peri-menopausal period many years before the menopause actually starts. There can be a period of heavier bleeding, more painful periods and/or emotional upsets, even while the periods still occur fairly regularly. Daily relaxation and stress management techniques – at least 20 minutes every day of becoming quiet, focusing on your inner being, relaxing, breathing, contemplating, writing in a special journal and reflecting on your life, it’s ongoing purpose and the changing function in your roles as woman, that is a natural part of this life transition period. This is a time to pay attention to your soul needs, your life’s meaning and purpose and finding inner peace and happiness. The soul loves beauty: surround yourself with fragrant oils, flowers, silky colourful cloth, a special sacred space adorned with crystals, special symbols, pictures of loved ones, etc. Write down your life’s journey so far, and give thanks for the strengths that brought you to where you are. Consider what you still have to do, or want to do with the rest of your time on earth. Include 600ml of low fat dairy products, soy milk, yoghurt, etc. No smoking – on top of all it’s wellknown health hazards, it also accelerates bone loss and hence, osteoporosis!